Bhindi Masala. Photo by James Fisher / courtesy of Random House. 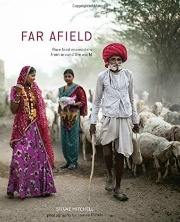 Shane Mitchell, along with photographer James Fisher, traveled the globe in pursuit of the world's culinary traditions, which are in . 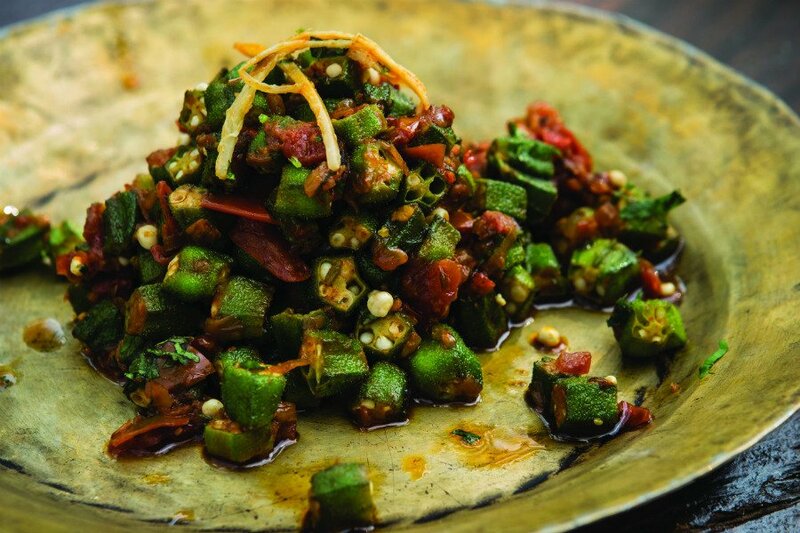 In Rajasthan, India, Mitchell was given a recipe for bhindi masala that was so delicious it overturned her distaste for okra. I have never been a fan of okra. But this version, served at the height of the harvest season in Rajasthan by a talented Brahmin cook named GSN Bhargava, changed that. Fresh okra makes all the difference, especially when sautéed quickly, rather than stewed until glutinous, which is the way I grew up eating it. You can find mustard oil and spice blends like chaat masala online at Indian grocers. 1. In a frying pan, heat the oil over medium heat. Add the cumin seeds and toast until they begin to pop. Add the garlic and onion, stir to combine, and cook until they soften, about 3 minutes. 2. Add the okra, turmeric, chile powder, and garam masala and sauté until tender, about 10 minutes. 3. Add the chopped tomato, cilantro, lemon juice, and chaat masala. Stir until blended. Season with salt to taste before serving. Buy, by Shane Mitchell. Photographs by James Fisher. Reprinted from FAR AFIELD Copyright © 2016 by Shane Mitchell. Photographs copyright © 2016 by James Fisher. Published by Ten Speed Press, an imprint of Penguin Random House LLC.